As I mentioned yesterday, I am starting the 21-Day Fix on Monday, so I tried another recipe I had found on Pinterest. 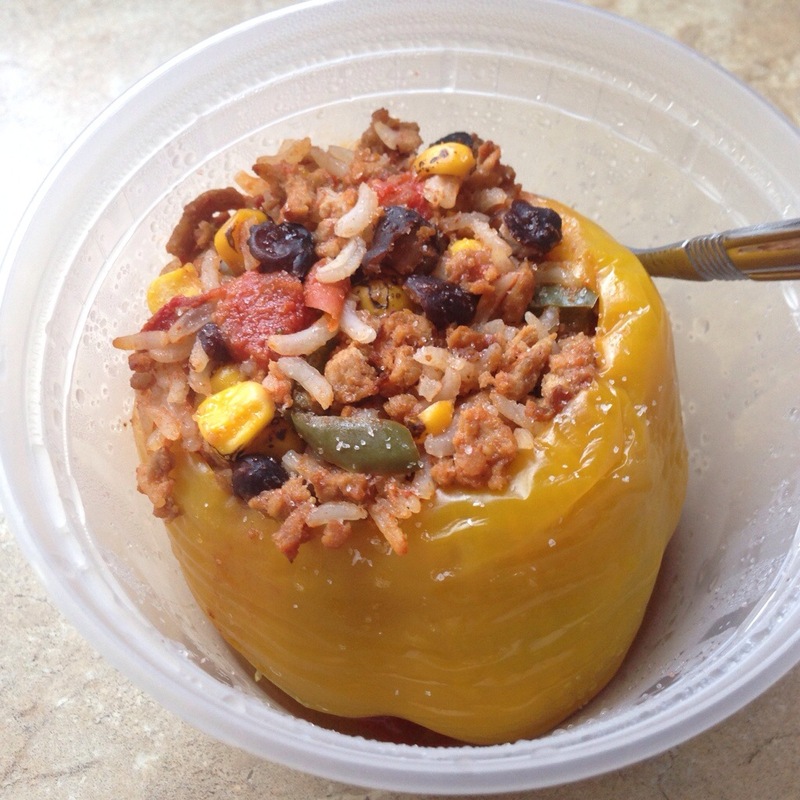 While trying to make my meal plan, I was searching for recipes that were “Fix Approved” and I stumbled on a few for stuffed peppers. Of course I made a few little changes to make it my own and they ended up being a great meal prep item for quick lunches during the week! Served directly in the storage container! 2. Cook rice or quinoa according to package directions, but cut cooking time a little short since it will continue cooking in the oven. 3. In a large bowl, combine the meat, tomatoes, beans, rice/quinoa, corn and sauce. 4. Cut the tops off of the peppers. Clean out the ribs and seeds and rinse well. 5. Stuff your peppers, making sure to pack them tightly with filling. Meal planning and prepping are very important with this program, so recipes like this are perfect. I actually used my containers to measure everything, but I shared the recipe here with the actual measurements. The ground beef or turkey may be slightly over 1/2 lbs. I actually just cooked up the whole 1-lb package and seasoned 2 Red Containers worth after measuring. I put the leftover in a container in my fridge to season however I want when reheating as a quick lunch.